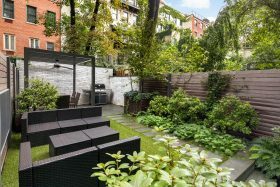 This Chelsea co-op at 475 West 22nd Street is less than a block away from the High Line and comes with its own fully landscaped garden oasis so you’ll never be far from nature. Recently renovated, the residence boasts wide oak floors throughout, exposed wood ceilings, two fireplaces, and large casement windows alongside all the modern amenities you’d need to live in comfort. 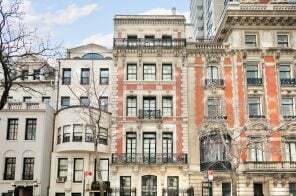 The three-bedroom unit just hit the market for $3,195,000 after previously selling in 2014 for $2,400,000. Located in the classic 1930s Chelsea residential complex at 405 West 23rd Street known as London Terrace Towers, what might otherwise be a nondescript alcove studio has been transformed with a stylish interior redesign. From a sleek custom built-in murphy bed to an on-trend mint-green kitchen, the compact co-op gets major style points. And the building offers amenities–from a pool to parking–that might be even harder to resist. Developer Related Companies’ high-profile condominium at 520 West 28th Street, designed by the late Pritzker Prize-winning architect Zaha Hadid, launched sales in 2015 to a flurry of hype and hubris. 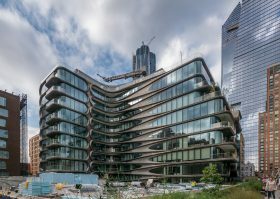 The highly-anticipated West Side residence was Hadid’s first ground-up structure in New York City, offering homes that ranged from $4,950,000 to a $50 million penthouse. Crains reports that since that glittering launch, though, only 16 of the building’s 39 units have sold, calling the offering “a rare bust.” The sales figures reflect about a 40 percent sell-through that looks even lower when square footage is considered: The building’s biggest units remain unclaimed, including its three penthouses. 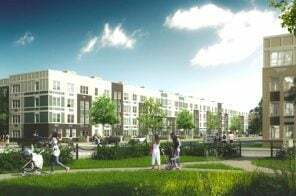 Of the 16 apartments that have sold, 14 were bought in 2017. 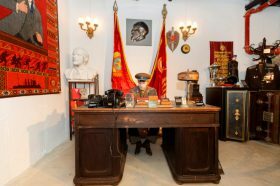 Only two units sold in 2018, and none so far this year. Will Hudson Yards bring more buyers? 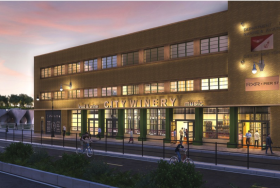 A rendering of the WeWork Food Labs space. 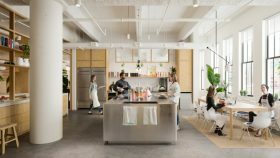 Image courtesy of WeWork. 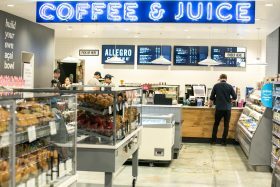 Coworking, office space leasing (and everything else) company WeWork has launched its second “innovation lab.” WeWork Food Labs intends to nurture early-stage startups focused on the future of food. Food Labs will offer dedicated space, community, and programming to entrepreneurs who are tackling challenges in food-related industries from hospitality, consumer goods and kitchen appliances to supply chain management, agricultural technology, distribution software, robotics and more, all of which are apparently very much in need of innovation. A flagship New York City location will open in late 2019 at 511 West 25th Street adjacent to the High Line in West Chelsea. 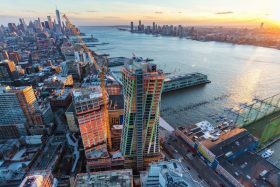 Bjarke Ingels’ twisting towers at 76 Eleventh Avenue in Chelsea officially topped out this week, with the 36-story West tower reaching 400 feet shortly after the 26-story East tower hit its 300-foot height. 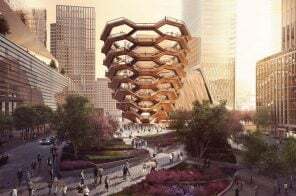 The High Line-adjacent XI, located right across the street from Thomas Heatherwick’s bubbled condos at 515 West 18th Street, will offer 236 luxury condos, the first Six Senses Hotel location in the United States, commercial space, and a new public promenade that will extend from the park. Designed by Bjarke Ingels Group (BIG), the XI’s slanted shape gives the illusion the two buildings are being pulled apart, allowing for all residents to have views of both the city and the Hudson River. 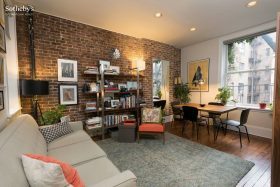 It doesn’t take much for a studio to feel cramped, but this maximalist co-op at 465 West 23rd Street manages to toe that fine line. 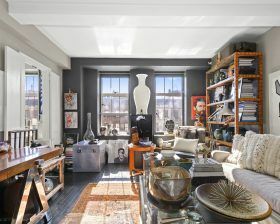 Asking $650,000, this cozy, sun-drenched unit packs a lot into just 500 square feet. 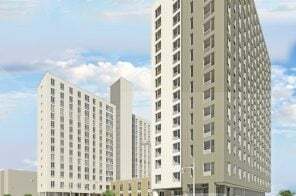 And if you ever need to stretch out, the studio is located in Chelsea’s massive London Terrace Towers—a virtual mini-city in itself—which offers residents a ton of amenities.